Board games for kids provide such a fun way for families to bond while also providing all kinds of opportunities for learning. 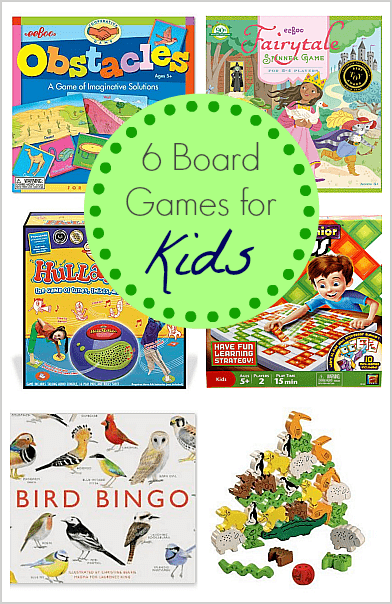 Here are our favorite board games for young kids! 1. 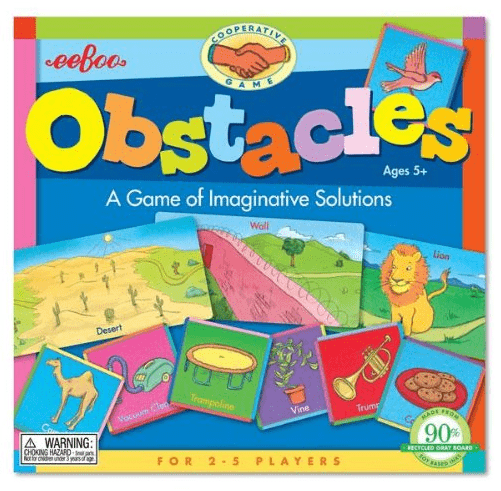 Obstacles – This game is one of my favorites because, although it’s a game for kids, I don’t get bored playing it at all! 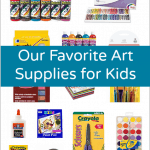 And I love that it encourages all kinds of creative thinking! It’s a card game where players encounter various obstacles to overcome while on an adventure. Together the players use their tools (cards) to brainstorm ways to overcome each obstacle. This game really inspires creativity and cooperation. 2. 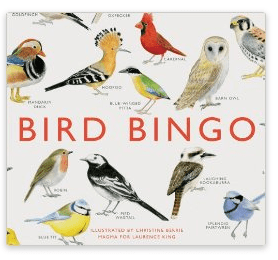 Bird Bingo – Bird Bingo is absolutely beautiful (and a must-have for any birdwatching families)! The illustrations are just gorgeous, and all the pieces are very good quality. I can see this lasting for many years to come. 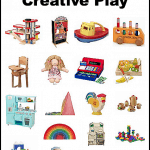 And since the boards and pieces have both pictures and words, any child can play despite their comfort level with reading. 3. Animal Upon Animal – This is definitely a fun game for both children and adults. The pieces are all smooth wood and brightly colored. 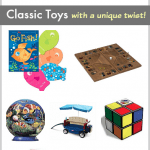 It’s a great game for teaching hand eye coordination, balance, and following directions. 4. 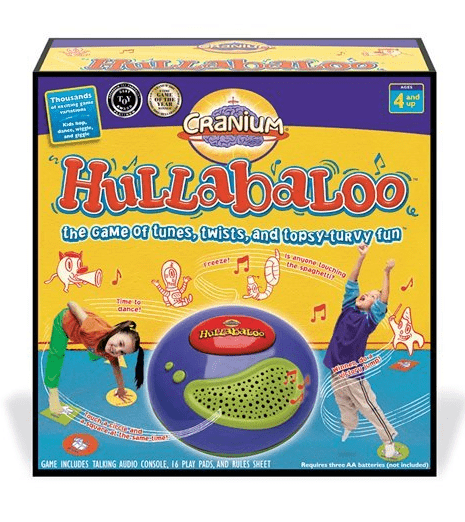 Hullabaloo– This game gets you up and moving around while practicing shapes and colors! It has two difficulty settings to better meet your child’s learning level. Definitely one of our favorites! 5. 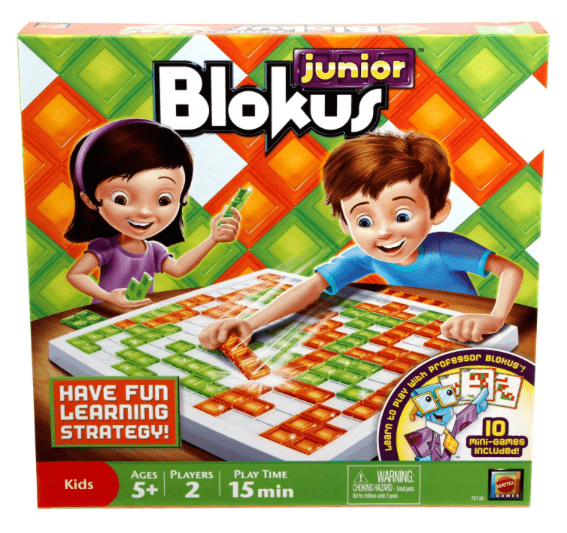 Blokus Junior– My husband and I love the original Blokus game so I was on the lookout for a version for kids. I’m so glad I found Blokus Junior! 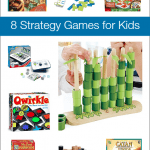 It’s a challenging strategy game that really helps kids (and adults) work on spatial awareness. 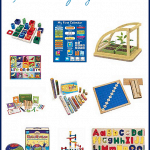 The junior version has simpler pieces and also some practice boards for the kids to use. And even my 2 year old Theo loves it! Although he can’t play the game as it was meant to be played, he loves creating designs using the shapes! 6. 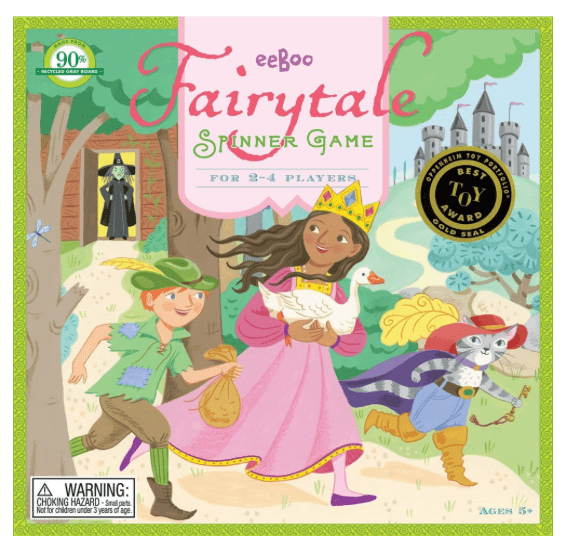 Fairytale Spinner Game– This is a perfect game for young children new to board games. The Fairytale Spinner Game is a fun way to encourage creativity and storytelling! As with all Eeboo games we’ve tried, the quality of the pieces is excellent. What games for kids would be on your list? These all look great! 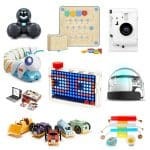 My son’s birthday is coming up in a few weeks, and he loves games, so thanks for some more ideas. What age do you think they’re geared for? He’ll be turning three. We also do a family game night of sorts, but we do a few more things besides games: we sing a few songs, we have some kind of short lesson (focusing on something we want the boys to do better with: manners, being kind, making good choices, etc. ), then we play a game or do some other fun activity, and then we have a treat. It’s a great tradition for our family. I love how you do game night! I’m trying to make it more of a tradition like you said. Thank you for sharing how you do it~ very inspiring! As far as the age ranges for the games, Lucy received Animal Upon Animal when she was 3 and was able to play and enjoy it. I think it was one of our first real games! Obstacles might be a bit challenging for a new 3 year-old, but it really lends itself to story telling and working together. It might be fun to try on family game night in the near future. The bird bingo might be a bit frustrating for a new three year old to play independently and does take a bit of time to complete. But, if you were to all to play together and adjust the rules and make it more of a matching game, it might be fun. 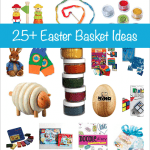 (I’m all about modifying games and activities!) It really is a beautiful game. Lucy just had a friend over recently who will be 3 in the next few weeks, and she enjoyed the game, although she did need quite a bit of help from me. 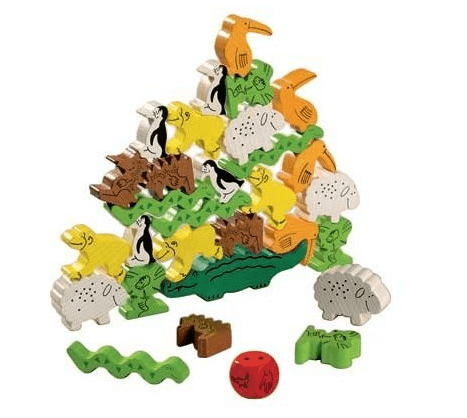 I’ve never heard of any of those…the animal stacking game looks like a lot of fun! Thanks for sharing…I found your link at Mom’s Library. Glad you stopped by! The animal stacking game is very fun! I saw on your blog you are learning to crochet. Hope it’s going well! I knit, but crochet always seems confusing! The Obstacles game sounds really interesting. I will have to look for it. Thanks for the recommendations. These all look like fun games. I’ve been pondering starting boards games with my little guy. We need fun practice with following directions 🙂 I will be checking these out further. Thanks for linking up to Sharing Saturday. I have never seen the Animal Upon Animal game before! Looks really fun. Thanks for sharing at Mom’s Library! Those look like fun games. I’ll have to check them out. Thanks for the recommendations! I’ve never seen these games, but the sound fun! My husband would go for the bird bingo. Thanks for sharing at the Sunday Showcase! My son would love Bird Bingo! I am going to have to add that one to my list to purchase for him. Thank you for linking up to the brand new Hearts for Home Blog Hop! We just had family game night tonight! We are really enjoying the new Connect Four Launchers! I am going to look into this Bird Bingo game. It would go perfect with our bird study in My Father’s World this year. 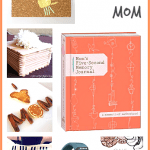 Thanks for linking up to the Hearts for Home blog hop! Blessings! !